Editors note: We are not tax advisors. The tips below are offered for informational purposes. Please consult with your tax advisor or attorney regarding your business. With the upcoming year just around the corner, it’s time to start putting together your end of the year strategy when it comes to your taxes. Now is a great time to figure out how your business expenses can be categorized for maximum savings. Here are some end of the year tax tips and deductions that can help your process serving firm save. The IRS recommends keeping accurate records, whether it’s regarding sales, payroll, purchases, and other expenses, as well as supporting documents. Supporting documents range from invoices, paid bills, and sales slips to receipts, deposit slips, and even canceled or void checks. These documents will support your records, book entries, and ultimately what you put on your tax return. Keeping these documents organized and safe is crucial, and the IRS recommends organizing them by year and type of expense. This will make the process go much more smoothly should you ever be audited. The IRS has a lot of great information on what types of records you should keep on your business. Below are some of the most important according to the IRS website. Any time you deduct travel, entertainment, gift, or transportation expenses you will need to have the records to back up claims of those expenses. For process servers who can spend a significant amount on travel, particularly in their vehicles, this is especially important. The documents that would include this information could be purchased and sale invoices, closing statements or canceled checks. A process serving company can range from small business and big firm owners to 1099 contract employees and sole proprietors. If you have employees or work with independent contractors, it’s important that you keep accurate records of how your employees are classified (including their paperwork) and accurate payroll records. With the IRS urges you to maintain accurate records for your business, in a world that’s half paperless half still-married-to-the-filing-cabinet, it’s always a good idea to have a digital backup of your physical records or vice versa. Implementing this type of tracking just before the end of the year can mean the upcoming year will go by without a hitch. Apps like Freshbooks, TurboTax, TaxCaster, and TaxAct can help you during tax season, and scanner apps like Genius Scan help you create PDFs of your receipts and documents. QuickBooks, TurboTax, and ServeManager offer a variety of services for invoicing, tracking jobs, and payments. The Internal Revenue Service (IRS) states that “An ordinary expense is one that is common and accepted in your trade or business.” For process servers, that means traveling, stakeouts, and other job-related travel could be eligible for a tax deduction. Those who use their cars regularly for business purposes are eligible for transportation tax deductions at a standard mileage rate or actual expense method. Standard mileage rates are 53.5 cents per business mile for 2017. Make sure to TRACK YOUR MILES so you can claim your deductions. Process servers who are new to the field may be able to deduct certain startup costs. This means you may be able to deduct $5,000 for business startup and $5,000 for organizational costs, which can include the cost of setting up a corporation. There is a lot of information and detail regarding startup costs, so it’s important to consult with a professional on this one. Major expenses like new wiring for an office or updates can be deducted, provided you are able to capitalize as a business directly from those improvements. Repairs can also be deducted if they keep your office in normal operating condition. The IRS has two categories for the cost associated with individual attempts to go into business: the costs encountered before deciding to go into business (general search, preliminary investigation of an investment), and costs in attempting to acquire or begin a specific business. 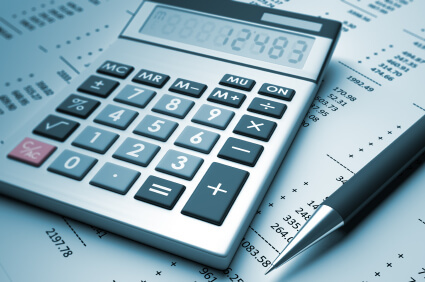 Individuals can only deduct expenses that fall into the latter half the of categories, but corporations may be eligible to deduct all investigatory costs as a loss. Whether it’s a trip for a stakeout, a flight to meet a new client, or a stay in another city for an association event or conference, these business-related expenses are tax deductible. Keep track of your plane tickets, taxi, Uber, and Lyft fares, parking costs, hotels and meals (and make sure you save itemized receipts) to get these deducted later. As a member of a local, state, or national process server association not only means you’re staying up-to-date on your profession, but a fringe benefit is that membership fees and annual dues are tax deductible. Hang onto receipts from your industry-related magazine subscriptions, as well as other resources purchased to keep up with your industry, whether from associations, private publications, or other sources. These subscriptions are tax deductible, and sometimes the smaller write-offs can add up considerably. If you have a dedicated home office (one with a door that closes in a space used only for business purposes), you may be eligible to claim a home office deduction. Depending on the percentage of your home dedicated to business purposes you may even be eligible for further deductions on monthly utilities like Internet and electricity, as long as the use is work-related. The specifics can be tricky on this one, so make sure you check with your accountant for details. While it is common for process servers to be self-employed, those who own their own businesses or are sole proprietors are eligible for health insurance deductions. The specifics will depend on your business and how it is structured, so seek the advice of a professional to learn what you are eligible for. Whether it’s money, goods, toys, food, school supplies, or any other item, donations to IRS-recognized charities are tax deductible. Some of the eligible organizations include Salvation Army, Red Cross, Boy Scouts, Wounded Warriors, nonprofit schools and hospitals, religious organizations, and government organizations that exist for public purposes (i.e. public libraries). Rent expenses, retirement plans, employee pay, interest, taxes, and insurance can all be tax deductible depending on the specific terms. Retirement plans, for example, offer tax advantages for setting aside money for you or your employees’ retirement, and the pay given to employees in exchange for their services can be deducted as well. Understanding tax deductions, employee classification, and how to maintain records effectively can be a challenge for any individual. Hopefully, this article has given you a better idea of which tax deductions your business might be eligible for. Are there other deductions you’ve used that we’ve missed? Add yours in the comments below.